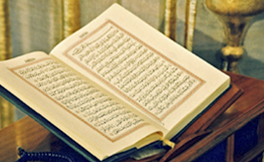 This blog aims to spread the authentic teachings of Islam and to promote the learning of the Holy Qur’an. The thoughts, feelings and experiences on this blog are from the Taleem al Qur’an Course in Canada, supervised by Dr. Farhat Hashmi. Experiencing the Quran is really like a fruit that you taste…something that you’ve never ever tasted before and on top of that you can’t even describe how it feels and tastes to anyone! and then you’re in this aw … your actions and change, people see you but you can’t see yourself…as they see you….I still feel like everyday with the Quran is like the first day ever although it’s been so many years but every day it’s a new feeling…a new taste! mmmm just so wonderful! And our blogs look alike! Alhamdulillah. Jazaki Allahu khayran, hope you’re able to post more inshaAllah.